Did you know that well before the creation of culinary arts schools or culinary arts institutes, all the great chefs came to learn the craft through apprenticeship? It’s true! Even the most famous chefs of history, the founding fathers of the culinary arts such as Auguste Escoffier, Antonin Carême and Fernand Point never went to culinary school. In fact, the culinary arts school is a relatively new invention; people previously became chefs by training inside of professional kitchens. Aspiring chefs learned the ins-and-outs of cookery by building skills under the direction of working professionals. While many of the great chefs of today have attended culinary arts school, many others have not. Thomas Keller, Gordon Ramsay, Hélène Darroze, Alice Waters, Wolfgang Puck, Paul Bocuse, Mario Batali, Tom Colicchio and Rick Bayless are just a few famous chefs who either never attended or never completed culinary school. In the past decade, we’ve seen traditional, lecture-oriented culinary programs become more expensive and less effective in the quality of education they offer and especially, the amount of actual skills their students learn. In our opinion, the modern-day cooking school is out of step when it comes to getting individuals the skills, connections and practical insight they need to launch their careers. Unfortunately, many people incorrectly assume that getting an expensive culinary arts degree is the only way to enter the industry. This simply is not true. Even people who have spent tens, if not hundreds of thousands of dollars on their schooling must work their way up. For this reason, expensive degrees can limit an individual’s chances at succeeding because they make it impossible for people to afford those entry-level positions that might not pay well at first, but which lead to the greatest career opportunities down the line. Our common-sense approach works in accord with the way the culinary arts world actually operates. We are not lecture-based, but rather conversation and practice-based. Our students learn one-on-one by training directly within the real world of professional cooking and the culinary arts. We make the most of the tried-and-true, mentored-apprenticeship (externship) method of culinary training and reinforce it with state-of-the-art curriculums, written by working members of the profession and geared towards enabling students to acquire the real-world skills, experience and the know-how it takes to compete in today’s job market. Solid skills and actual experience are what many of today’s chefs look for when they hire, not advanced degrees. The CASA Chef Apprentice School of the Arts makes it possible for up-and-coming culinary professionals to get inside a professional restaurant and gain experience and connections while they train for a rewarding career. Getting our students inside the professional culinary arts world where they can become part of the thriving food community in their area is our no-nonsense approach to helping hardworking, deserving individuals begin building their futures today. We know that we are not your only option for culinary education. Here’s a look at your other options. Students can pay $60,000 – $100,000 (or more) for culinary arts education. Incurring a massive amount of student loan debt can thwart a person’s chances of success in the very same industry for which they trained. Today’s conventional system of culinary education results in crowded classes, little to no direct oversight, little hands-on training and often zero real-world experience. The conventional culinary school model works against the actual culinary arts system of advancement by experience and talent. Does being stuck in a position where astronomical monthly student loans prevent you from getting a foothold in the industry sound frustrating to you? Research it more and see what you think. Culinary arts programs at community colleges have one major selling point: they’re less expensive than conventional culinary arts programs. Nevertheless, they still have exactly all the same problems you’ll find at more expensive schools including: large class size, little direct oversight or contact with instructors, and little to no hands-on experience. They will cost around $20,000 – $30,000, which is still a considerable amount of money (and student loan debt to incur), and yield no real-world connections. If you’re lucky, you may be able to find a highly experienced, respected chef who agrees to train you one-on-one. This is a great way to start building skills and learn in a practicable, time-efficient manner but it will be very expensive and loans are not available for self-study arrangements of this nature. CASA is the revolutionary culinary arts program that builds on the original tried-and-true method of culinary education: mentored-apprenticeship. Via self-study and hands-on training, our program gets hardworking people in the position to learn in a cost-effective, time-effective manner through one-on-one training with a working chef inside a professional kitchen or restaurant. Students learn the workflow and day-to-day practices of the craft while they gain confidence and build connections within the local culinary arts world. In the rapidly changing world, real hands-on experience is the only thing that matters. Employers don’t care if you have a piece of paper that says you know how to do something. They only care if you’ve done it before. Nobody wants to take chances on a newbie. The stakes are too high. Proven, vetted, experienced individuals are the ones who get the jobs. In today’s fast-paced and quickly changing world, actual hands-on experience and solid skills are what matter most to employers. Experienced individuals with a real-world understanding and the skills to back it up are the people who get and keep the jobs. 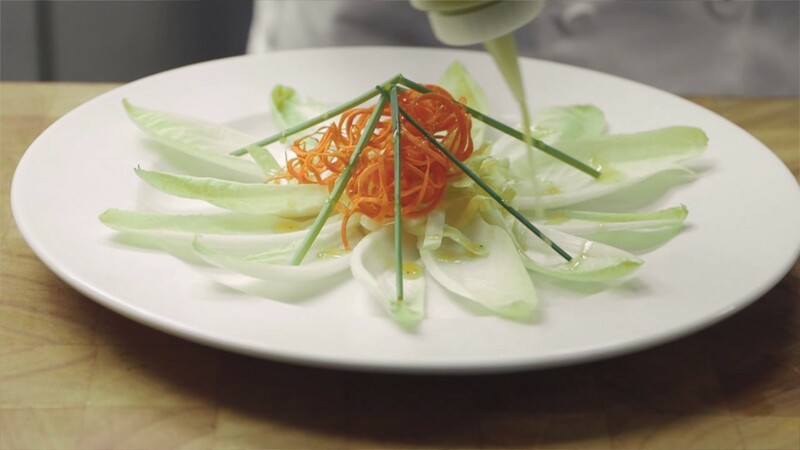 If you’re serious about building a stellar career in the culinary arts world, CASA will get you right where you need to be to start building that future today.